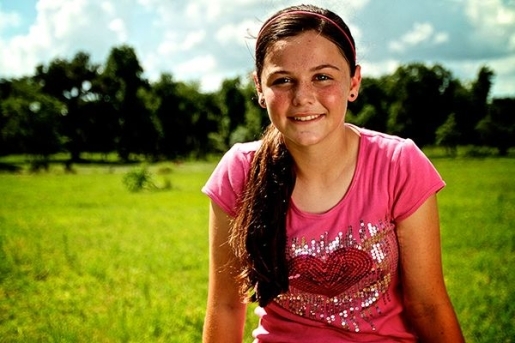 There aren’t a lot of 13-year-old girls who are interested in baseball, let alone a lot of 13-year-old girls who are good enough to make it into the National Baseball Hall of Fame, yet there’s Chelsea Baker, whose Brandon Farms Little League jersey was inducted into the Cooperstown, New York, home of baseball’s greatest as part of a special women in baseball exhibit. You see, Baker has thrown not one, but two, perfect games pitching against the boys. Of course, she had a little help. Her Plant City, Florida, Little League squad’s batting practice pitcher was Joe Niekro, who was the 1979 pitcher of the year (second in Cy Young voting) and won a World Series in 1987. “He would always throw it to us and I could never hit it, and so I’d always beg him to teach it to me and finally one day he just taught it to me,” Chelsea says. The pitch allowed her to make it through four seasons undefeated as a pitcher, including her two perfectos. Baker now plays in an all-girls team sponsored by the organization Baseball For All, which promotes women in the traditionally all-male sport. And she’s not just touring with the exhibition squad, either. She’s got plans for the future: “I want to play baseball for as long as I can. I want to play high school baseball and then I also want to play on the USA girls’ travel baseball team.” Could she be the girl version of Stephen Strasburg with that wicked knuckler? Maybe!